This rare piece of furniture is imported direct from Italy. This unique chest has three drawers, perfect for stowing away your belongings and accessories. It is constructed entirely of all-natural hardwood and given a shiny, silver coating. 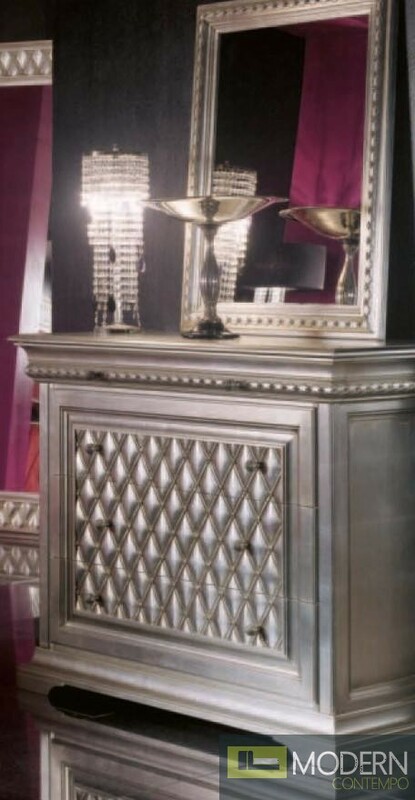 The carved patterns on the chest give it a traditional feel, and make it a perfect addition to any regal living space. W48" x D21.3" x H39.4"